Nothing to do with your propshaft I brought the roadster off you. sorry lost your email and contact details. just thought you would like an update. engine and gearbox and back in the panels have all been painted black with red pearl. DVLA came to the party and the V5 has been updated from the marina to show a 1972 marlin roadster. 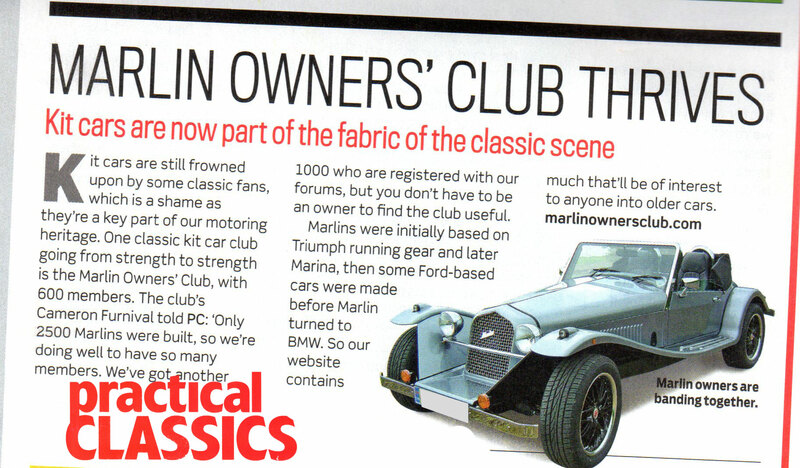 Surely this can't be right as the Marlin Roadster was only launched in 1979? I assume you still have the Marina Reg number? My '78 Roadster has the Marina plate and Vin Number. I don't know its actual date of birth '80 something I supose. Won't yours be tax free now? Mine should be soon. Are the DVLA being very cooperative now? Cheers for that. Should it be tax freethis year 1-08-78 T reg? PM sent. Mine has a V5 of 18/10/78 which means I will have to wait until April.